Luca’s mum is Italian and his dad is English and a massive rugby fan. 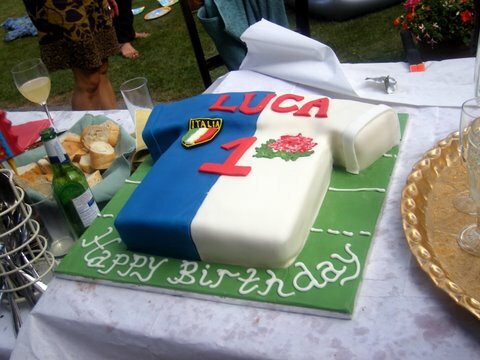 They wanted a 1st birthday cake to keep all relatives happy so we went for a half English, half Italian rugby shirt. The perfect solution!